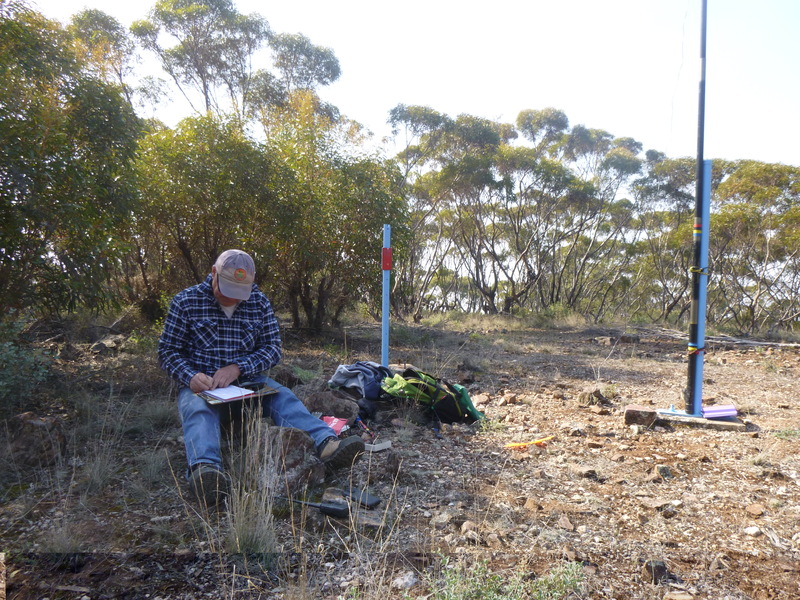 After Grape harvest and the first rains for Autumn it is considered safe to go to the Lochiel Repeater site to do a battery check and kick out any mice who make the hut home. The repeater was in good order with the sealed lead acid battery these days there is no need to be testing it and top it up with water. I just swept out the mouse doings and found 4 mice asleep on top of the Icom power supply keeping warm, so they got a rude shock to be shunted out the door into the cold. The door is opened by the power company every so often and the contractor does not set up the bottom seal on the door properly to stop the mice getting in. 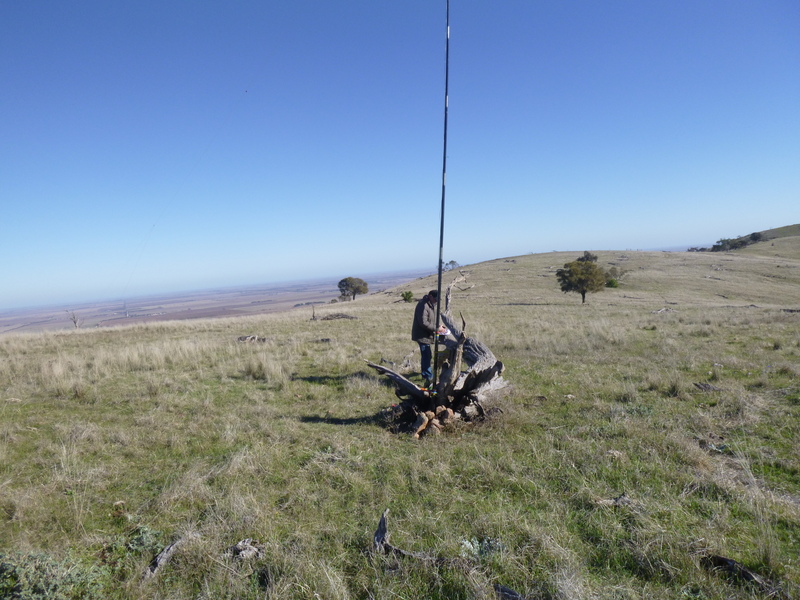 Bumbunga Hill is SOTA summit VK5/SE-015 so Hugh and I decided to get a couple 1 pointers done while we were there. Setting up on the western side of the summit by this log was a good place to activate and get some protection from the wind. It’s almost normal now to start the activation on 3.6 mhz first so we can work the locals more easily then progress to higher frequencies . 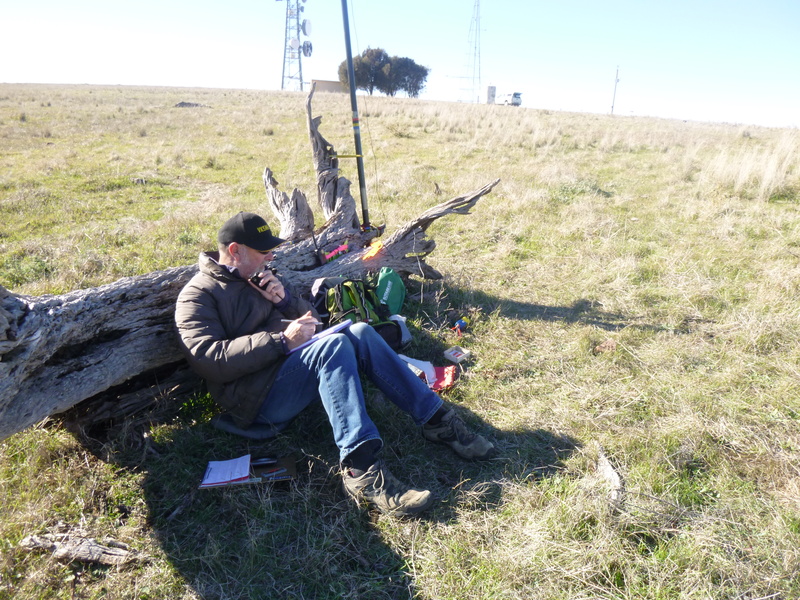 I only managed 5 qso’s for the activation and Hugh made about the same number on 80/40 m ssb. I did try to work my Japanese friend again S2S but we could not make the swap as signal levels were too low on 15m although I could hear him some of the time but the qsb made it fail. 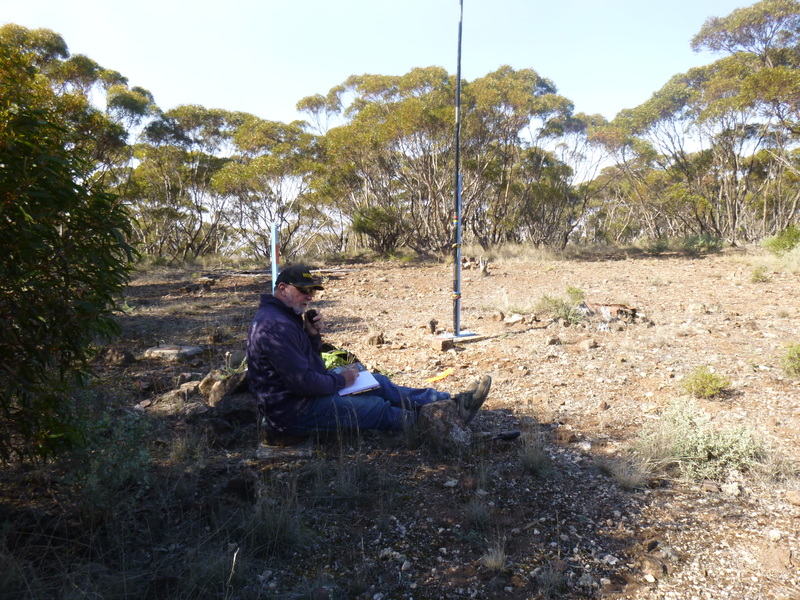 Hugh and I had a short walk through the scrub for this one and got set up and the next activation under way. Even at 02.00 UTC it is still possible to QSO locally on 80m, Hugh made contact with Paul VK5PAS/Mobile and the other VK states were much stronger on 40m by the second activation. 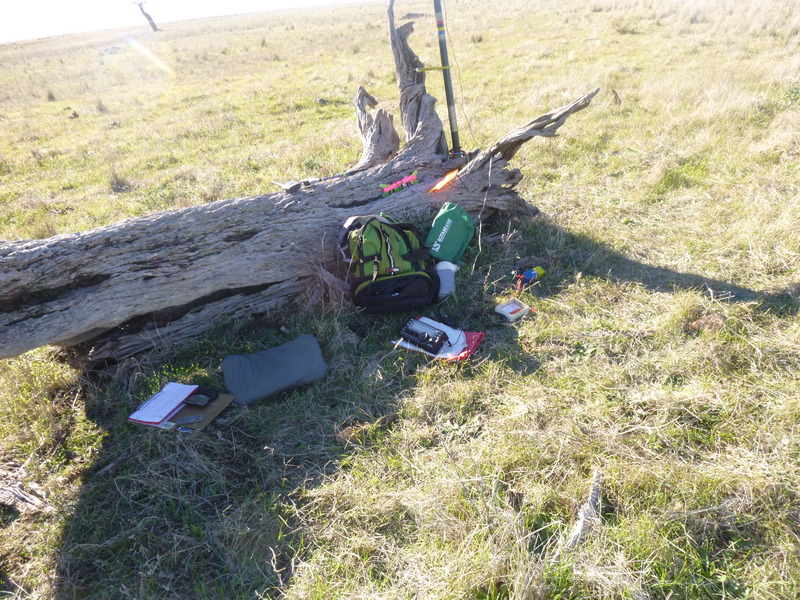 I was able to work some chasers on ssb and cw this activation with good signals into vk2 3 4 5 6 7 and a S2S with VK2NU on VK2/HU-047 in the Hunter Valley zone. VK2NU is a new activator for me to work and we had two QSO on ssb and then on cw later. Thanks to the farmers for access to their land . Last Two Days Up North. vk5cz on Last Two Days Up North. VK4FR/VK5FR on Last Two Days Up North.